Stamping your feet in anticipation in the pit, jostling your way through the crowd to get a better view of your idol, jumping up and down until you can’t feel your legs… these are all hallmarks of a fan’s experience! But what if serenity, luxury and delight also formed an integral part of the live performance? 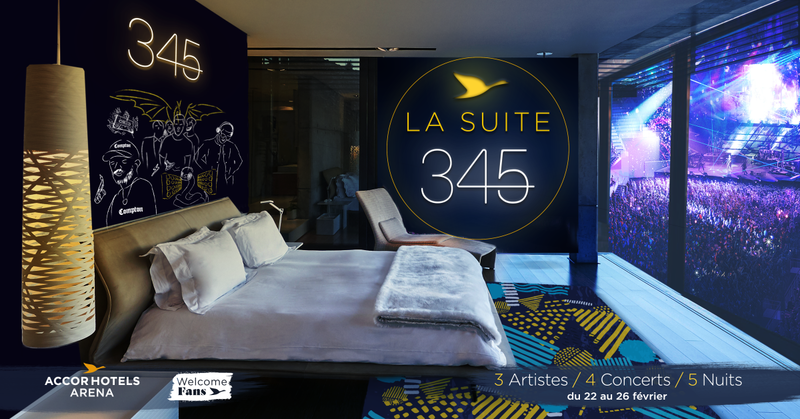 Welcome Fans is offering a totally new experience by combining the intensity of a concert with the intimacy of a hotel suite, having completely remodeled one of the boxes in the AccorHotels Arena into a suite right in the heart of the venue. Next articleWhat Happens When 70-Year-Old Geezers Go To The Gym?